02:58 whitephoenix How would I go about replacing default nodes in worldgen with my own? 11:03 DI3HARD139 Is there a known bug that's causing secure.trusted_mods to not work? 11:15 riff-IRC how are you? 15:51 agaran beetween 0.4.14 and 0.4.14 ? 16:10 VanessaE I know, just saying. 16:22 GreenDimond anyone here good with aliases? I need some help with them. 16:23 Yruama_Lairba what do you want to do ? 16:24 GreenDimond In my sandplus mod, I need to create aliases for all my nodes so the mod transitions to 0.4.15-dev/0.4.16 nicely. 16:25 GreenDimond People dont want to have to replace all the sandplus nodes they used with the default by hand. 16:25 VanessaE why woudl they change? 16:27 GreenDimond if I enable the mod, the nodes just show up again. 16:28 Yruama_Lairba "register_alias_force" maybe ? 16:28 GreenDimond well then not replace. 16:29 GreenDimond why suggest the aliases then? 16:29 GreenDimond which code? mine or default? 16:30 VanessaE the proper solution is to add aliases to mt_game to cover the nodes your mod used to supplyu. 16:30 GreenDimond and how does one do that? 16:31 GreenDimond so I have no solution that I can do myself? 16:32 GreenDimond or just create an issue asking someone else to? 16:32 VanessaE discuss it with the mt_game devs on github, and if they refuse, write a small stub of a mod that supplies only those aliases. 16:37 GreenDimond so i need my block aliases, what about stairs? 16:40 GreenDimond shall I just use an aliase for those or fix my mod? 16:41 GreenDimond easier just use aliase yes? 17:44 VanessaE it's all your fault, GreenDimond. 17:51 VanessaE see? told you. 18:00 GreenDimond this internet tho. 18:03 VanessaE it's all your fault, GreenDimond. 18:03 GreenDimond how to PR. 18:03 GreenDimond git or guithub? 18:05 Krock spoon it if you want, yes. 18:05 VanessaE there will be a grene button on the page for your fork that says something like "new pull request"
18:06 GreenDimond where be the fork button? 18:06 VanessaE "unwatch, star, fork"
18:10 GreenDimond what do when added changes? 18:11 VanessaE however if you're gonna do it through github, you just need to save your changes and provide an edit summary, then issue a pull request. 18:12 GreenDimond so I can do it on GitHub? 18:13 VanessaE the edit-on-the-website feature is probably more intended for ordinary plain text files, comments, README's and so on, rather than working code. 18:14 VanessaE plus if you clone first, change, test, repeat [...], you only have to make one single commit after the testing process yields acceptable results. 18:14 GreenDimond what happens when I clone the fork? 18:14 GreenDimond do I need to create a new mt file? 18:14 GreenDimond so now i would have 3? 18:15 VanessaE then yes, you'd have three. 18:15 GreenDimond do I clone to the daily? 18:15 VanessaE your copy would be in a separate folder. as far as git is concerned, it may as well be a copy of photoshop. 18:16 GreenDimond so create a new folder...open, do git add . then do clone? 18:16 VanessaE it'll create the new folder. 18:17 GreenDimond wait dont even make a new folder? 18:17 VanessaE the clone process creates a new folder. 18:17 GreenDimond how do I clone it? 18:18 VanessaE ok, on the right is a green button that says "clone or download"
18:19 GreenDimond cloning to minetest_game? 18:19 GreenDimond k where did it put it? 18:20 VanessaE now fire up geany or gedit or mousepad or whatever, and start making changes. 18:31 GreenDimond afk a bit. have to go haul wood. hopefully bbs. 18:45 MinetestBot yusf[m]: Could not find anything. 19:40 GreenDimond I get to fix my mod. 19:55 GreenDimond sandplus has been fixed. 20:12 GreenDimond I will stop now. 20:13 GreenDimond I hopes VE will be back soon. 20:23 GreenDimond VanessaE when I make this PR, what do I compare what to? 20:25 GreenDimond stupid code. one time the nodes get changed and the next they dont. wth. 20:34 GreenDimond VanessaE: oki...think I got it to work. one question: the mod will still run when enabled with minetest-dev, and the creative inventory contains the sandplus blocks (not stairs) as well as default. dont I need to fix this? 20:36 VanessaE that's all I got. 20:37 GreenDimond if I place the blocks from sp, then disable the mod and go back, they turn to default. re enable sp, they turn to sp blocks. 20:37 GreenDimond so it worked? 20:37 VanessaE if some mod defines a block, and you alias it to something else, the alias is ignored. 20:38 VanessaE meaning you get two copies of the block - the one defined by "some mod" and the "something else" that you tried to alias it to. 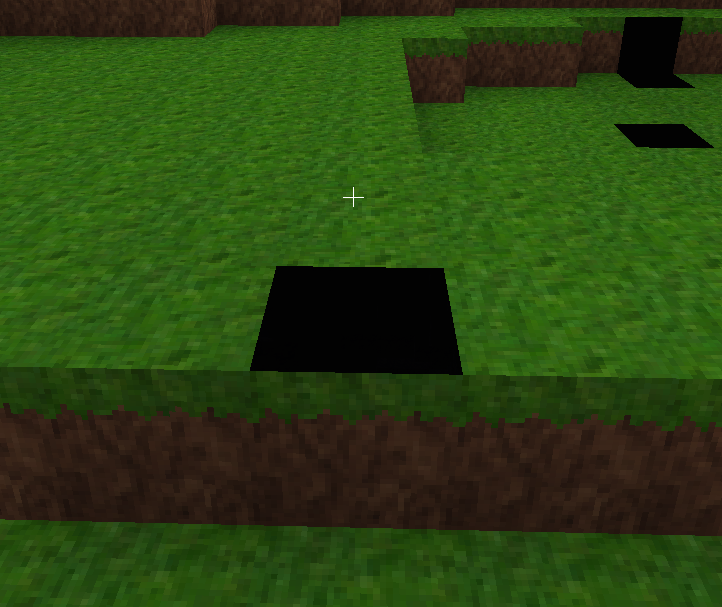 20:40 GreenDimond how do my mod's blocks show up if the mod isnt enabled? 20:43 GreenDimond ah. 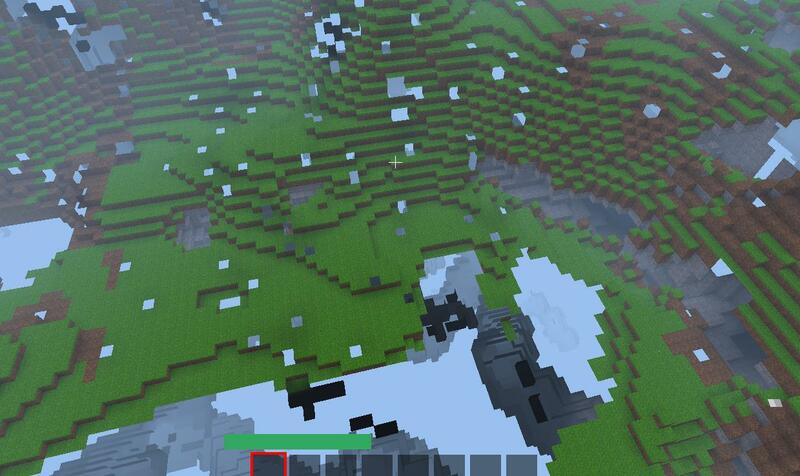 so you are saying place my blocks, disable the mod, and if they are still there (but default version) then it worked? 20:43 VanessaE yes, exactly that. 20:44 GreenDimond so I need to alter my mod to not register the blocks? 20:44 GreenDimond do i make the PR from my fork or on the minetest_game pr page? 20:45 VanessaE make it from your fork. 20:46 GreenDimond is that correct? 20:53 GreenDimond anything specific i need to put in the summary? 20:54 VanessaE a few lines, something concise.